As told by Edelma Altamirano Espinoza to Alejandra Narvaez Jiron, Communications Specialist for Pro Mujer in Nicaragua. Edelma Altamirano Espinoza has been a client of Pro Mujer in Nicaragua for the last seven years. “My name is Edelma Altamirano Espinoza and I am a client at the Pro Mujer center in León, Nicaragua. I am 37 years-old and have two children, a girl who is 20 and boy who is 16. My daughter is married, lives with her husband and is in her third year of her Pharmacological studies at university. My son is finishing high school and lives at home with me and his father. I used to work as a housekeeper. My husband also used to work, but one day he stopped working and started drinking. It was back then that I decided to start a business selling clothes. A friend of mine, who had a credit with Pro Mujer, told me about the organization. It caught my attention the way the organization operates and the opportunity it offered me to get a small loan with only my word as collateral. I have been a Pro Mujer client in Nicaragua for the last seven years. My first loan was US$49, which let me buy some clothing in bulk to then resell. Later, my capital grew and now I buy clothing in higher quantities. I go to Honduras to sell them. I travel three times a week, on Tuesday, Thursday and Saturday. I can sell them at a better price in Honduras and sometimes I sell on credit between 10 and 12 dozens of pieces to one client. 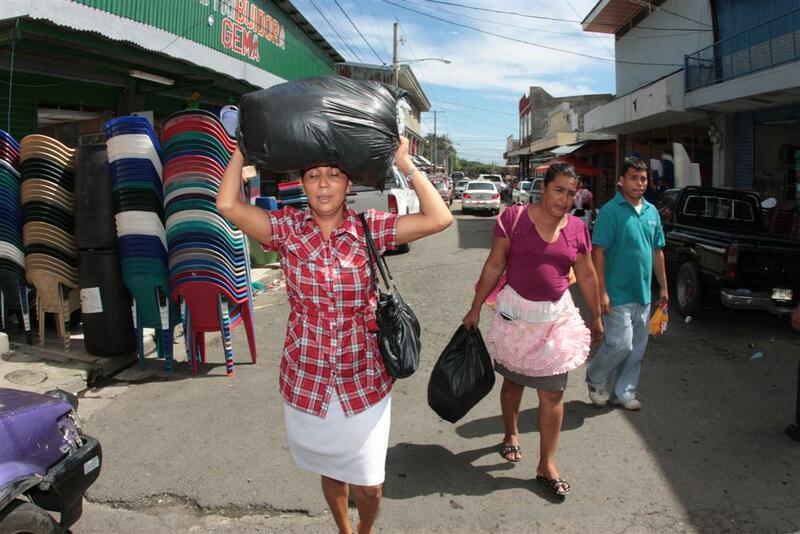 Edelma buys clothes in Nicaragua and travels to Honduras to sell them at a better price. I am the president of my Communal Bank Las Madrugadoras (The Early Risers) in León. In my role I try to motivate my group to stay together and pay on time. I try to instill in my group that the money we borrow from Pro Mujer is to invest in our small businesses, not to buy anything else. I am really grateful for Pro Mujer because thanks to the organization I was able to save my life. They always tell us to go to the gynecologists consistently. In 2006, I decided to take a Pap smear for the first time and the medical staff at Pro Mujer found something that it was in an advanced stage. They did a biopsy and confirmed the presence of the human papilloma virus that can cause cervical cancer. After a series of exams, Pro Mujer referred me to the Hospital Escuela de León so that I could have a hysterectomy so that I can avoid developing uterine cancer later on. That was three years ago. In the beginning I was sad and nervous because I heard people saying that a woman is not a woman if she does not have her uterus. I did not have to pay for my surgery nor did I have to wait long for the procedure. It was a difficult moment for my family but thank God we overcame the situation. God had a plan for me and put Pro Mujer in my life. 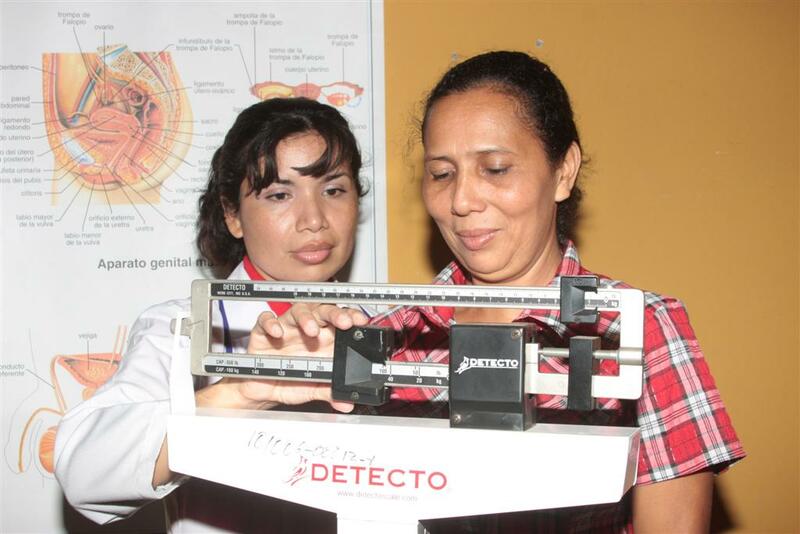 Edelma did not have to pay for the surgery, neither had to wait long for the procedure thanks to Pro Mujer in Nicaragua. I stopped working for three months, but I kept paying my loan to Pro Mujer. I could not fail the organization that not only gave me a credit to start my small business, but also helped saved my life.